Note: Yahoo! Store is now known as Aabaco Small Business. Established in 1998, Yahoo! Store (formerly known as Yahoo! Merchant Solutions and Yahoo! Commerce - and now operating as Aabaco Small Business) is a fully hosted e-commerce operation that provides merchants with all the tools they need to build, host, manage, and promote their stores. Aabaco hosts more than 45,000 online stores of varying sizes, including more of the top 500 Internet Retailer stores than any other hosted platform. While Aabaco Small Business (formerly Yahoo! Stores) undoubtedly offers excellent support to the businesses it hosts, it is definitely more expensive than most of the competition. However, most of the businesses say that the quality of hosting support offered by Aabaco Small Business (formerly Yahoo! Store) makes the extra cost worthwhile. There are 3 primary plans to choose from; a Basic plan at $29 monthly, a Professional plan at $79 monthly, and a Premier plan at $299 a month (note: all plans are billed annually). Transaction fees range from 1.5% down to 0.75%. All of the plans include an unlimited number of products, unlimited storage space, unlimited bandwidth, and a free domain name (you can use an existing domain if you already own one). Email account range from 10 to 1,000 depending on which plan you choose. All plans also include $100 in Bing Search Advertising credits. 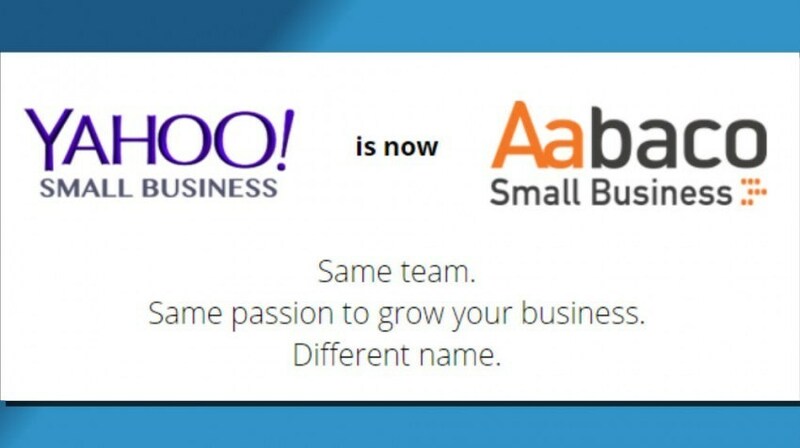 The biggest strength of Aabaco Small Business's (formerly Yahoo! Store) e-commerce solution is the long experience and immense infrastructure of Yahoo. The long history of Yahoo Store means it has features smaller players haven't had time to develop - the cross-sell engine that examines customer history and viewing behavior to recommend pages of potential customer interest is one example. Another key factor is availability of 24/7 customer support, including priority phone support at the Premier level. In many cases, Aabaco's (formerly Yahoo! Store) greatest strength can also be viewed as its biggest weakness; the fact that is uses a propriety platform that is unique to the company. It is not as easy to access and work with as more common development languages, and limits your ability to outsource work only to people who have specific expertise with the platform. However, many of the merchants feel that the power, flexibility, and large developer network make up for the headaches. Also 24/7 customer support (as mentioned above) are helpful as well. When it comes to building an e-commerce store there are several benefits to using a proven infrastructure like Aabaco Small Business and it's sure to make the shortlist of anyone comparing various e-commerce solutions. See all of our Web Hosting articles here.